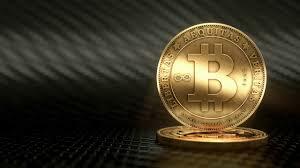 You may have noticed that Scan have become one of the first On-line Retailers to accept Bitcoin. 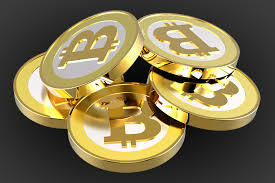 Bitcoin is a REAL currency, used on-line to purchase items in just the way you would with Pounds, Dollars or Euro’s. In the future, digital transactions like these will become the norm. Think about the advantages….. These are Person to Person payments that don’t need a bank or clearing house, so no-one needs to earn any extra fee’s, you can use them across the world in different countries, and no-one gets to tell you whether or not you ‘qualify’ for a bank account nor can they ‘freeze’ your account. How do I use my Bitcoin to Pay at Scan? At the checkout simply select Bitcoin as your payment method, and then click the “Complete order with bitcoin” button. You will then be taken to BitPay to complete payment. BitPay will convert the GBP value of your order to bitcoin using the latest exchange rates. You have 15 minutes to pay the exact amount shown. You can either scan the QR code, or transfer the bitcoins to the wallet address shown. Once done you may need to press the refresh icon to see that your payment is complete. Note: Any under and over payments will prevent us from processing your order correctly. Please contact customer services in this case to ensure that your bitcoins are returned to you. Now your payment is complete, the Bitcoin network will confirm your transaction. Before your order is picked and despatched we require six confirmations, this may affect our ability to despatch your order on that day. Should your order not reach one confirmation within an hour of payment then your payment will be declined. In such case please contact our payments team for the next steps to rectify.